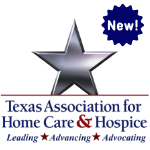 Home Health and Hospice Marketing Practices - Are Your Marketing Practices Legal? [W3228] Home Health and Hospice Marketing Practices - Are Your Marketing Practices Legal? How Stark regulates gifts and other marketing activities aimed at referral sources and how Texas State statutes regulate the provision of gifts on referral sources. Program Description: Marketing activities that would normally qualify as ordinary business courtesies if extended to an actual or potential source of referrals in other industries are often illegal in the context of Federal health business programs. In this session, we will discuss whether a number of common marketing practices comply with Stark and the Federal Anti-kickback Statute. We will also examine various Texas State laws that must be considering before an agency engages in marketing. In this webinar, attorneys Heidi Kocher and Michael Cook discuss how Stark regulates gifts and other marketing activities aimed at referral sources. They will also learn how the Federal Anti-Kickback Statute impacts the provision of gifts and other marketing activities aimed at referral sources. Finally, the presenters will discuss how Texas State statutes regulate the provision of gifts on referral sources. Participants will actively engage in the learning activity and identify marketing practices which comply with state laws, Stark, and Federal Anti-kickback Statute. Michael H. Cook is a Partner and Co-chair of the Health Care Group at the law firm of Liles Parker, PLLC. Michael has more than 40 years of experience as a health care attorney in the regulatory, reimbursement, business, and policy areas. He has lectured and published frequently on topics of interest to health care providers and has served on a number of industry and government task forces and commissions. Michael has presented on the Comprehensive Joint Replacement Program Initiative to the National Association of Home Care and Hospice and the Kentucky Association of Health Care Facilities, and the TAHC&H, and on CJR/Bundled Payment Impact on Post -Acute Providers -- Navigating Alternative Payment Systems for the American Health Lawyers Association, sits on the Board of the Virginia Department of Medical Assistance Services (Medicaid), and served on a health care work group on delivery system reform for the campaign of Secretary Clinton for President. Heidi Kocher is a partner with Liles Parker and has over 20 years of experience in health care legal and compliance related issues, including serving as a compliance director, chief privacy officer and interim chief compliance officer at a medical device manufacturer. In addition, she has represented and advised physician groups, home health agencies, DME companies, pharmacies, non-profit organizations, and licensed individuals. Her experience includes implementing the various requirements and aspects of a Corporate Integrity Agreement, responding to and defending audits from Medicare, Medicaid and private insurers up through the ALJ level, guiding clients through voluntary self-disclosures and seeking advisory opinions from the OIG. She also has significant reimbursement experience, addressing coverage policy issues, challenging denials, recoupments, and loss of billing privileges, obtaining HCPCS codes, and other reimbursement related issues.